Although simple and intricate are opposites, the Wired Garden Seat by Zuo can be defined by both words simultaneously. 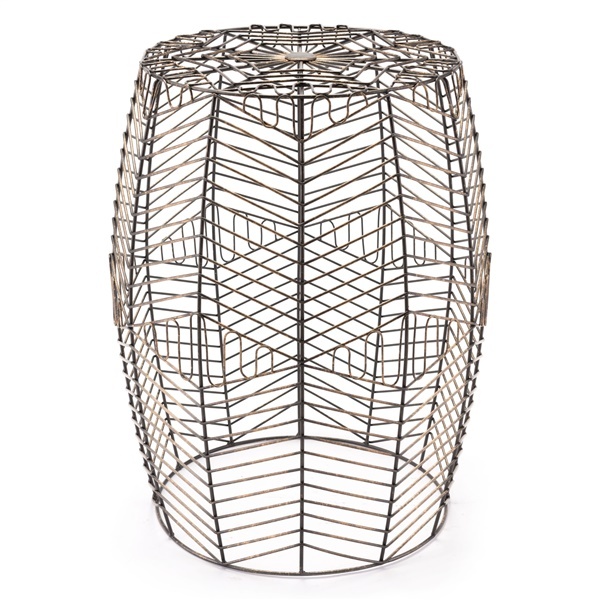 Durably constructed of black steel wires and gold welding, its bold tribal pattern of intertwined wires offers a textured look while being completely functional. Whether you use it indoors or outdoors, this stool will perfectly complement your space.